Home › FAQ › Who Qualifies for Federal Student Loans? The Department of Education has very clear and strict guidelines for federal student loans. Below introduces these loans and explains why they are beneficial. There are actually two types of federal loans for students: subsidized and unsubsidized. These loans are designed for eligible students to help cover the costs of attending college. Direct subsidized and unsubsidized loans are loans that must be repaid with interest. Some schools refer to these as direct loans or Stafford loans. Direct subsidized loans are for qualifying undergraduate students whose financial needs are determined by their school. The Department of Education pays the interest on these loans if the student is in school at least half-time and for the first six months after graduation. Some students qualify for an extended grace period called a loan deferment. Direct unsubsidized loans are available to both undergraduate and graduate students who do not need to demonstrate financial need. These loans require students to pay the interest during all periods. 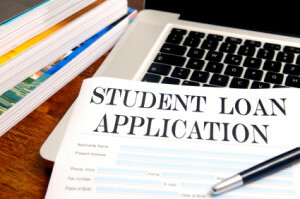 In order to qualify for federal loans, students must meet basic eligibility requirements. Students must be an American citizen or an eligible non-citizen, but either way they must have a valid Social Security number. Most programs require students to have demonstrable financial need for assistance. The student must also be accepted or planning on enrolling as a regular student in an accredited certificate or degree program. Regular means at least a half-time student for the Direct Loan Program. Students must legally sign the FAFSA application and not be in default on a past federal student loan or grant. Federal loan programs require that students only use their loan money for educational purposes and maintain satisfactory grades. All students are required to have a high school diploma or GED certificate. Male students must be registered with Selective Service. Federal loans for students are an excellent way to pay for college. The historical interest rate of federal loans for students has almost always been lower than private loans. Federal loan programs do not require an invasive credit check or cosigner to qualify. Students do not have to repay their loans until after they leave the school or become a part-time student. The federal government will pay accrued interest for qualifying students with higher financial needs. Federal loan programs provide flexible repayment plans and allow students with serious financial difficulties to postpone loan payments. Certain jobs qualify for limited loan reductions. In order to apply for a federal loan, students must submit a Free Application for Federal Student Aid (FAFSA). Most students complete the application online, but they may also mail in their application or complete it through the financial aid office at their school. The FAFSA application requires students to submit information regarding personal finances, such as their parents’ tax information, which will be used to generate the Expected Family Contribution (EFC) that determines how much financial aid students will receive. Before students receive federal loans, they must participate in college entrance counseling and sign a legally binding Master Promissory Note (MPN). Federal student loans can be better managed through taking advantage of loan forgiveness options and consolidating multiple loans through the Direct Loan Program.